Interior Avenue is growing! 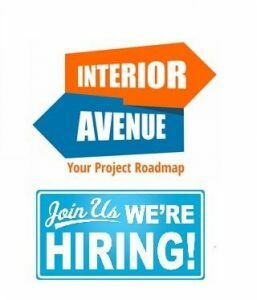 Interior Avenue, the Project Roadmap, is a regional manufacturers’ rep group covering Arizona, Nevada, New Mexico, and El Paso, TX. We are changing the way commercial offices, hospitals, and schools design and purchase FF&E(furnishings). With the heart of a teacher, we show companies how to create affordable spaces without giving up quality, design, or flexibility. We build our clients a roadmap and guide them through the entire process from start to finish. We also help them establish a budget and will recommend attractive and affordable modern office furniture design that will result in a stylish, contemporary look to reflect our client’s company brand and culture. Our clients will be proud and excited to go to their office every day. We have a team of Visionary Salespeople who work with the Architects & Designers, Dealers, and our End User community. We have products that enable us to create a great space within any budget. We are growing. With this growth, we need a dynamic field sales champion for Arizona. The position is flexible, working from our Visionary Center and developing their own territory. We will provide laptop and software plus 2 full weeks of training with our primary manufacturer. Competitive base with uncapped commission, lots of flexibility and a chance to join a $10-million-dollar company. We are planning to grow to $15 million. We are going to have fun and change the rep group model out here in the Southwest. We have a 3,000 sq ft showroom, excuse me, a “Visionary Center” to help our clients see what is possible. As our champion, you will be part of creating this Visionary Center. It will have that start-up feel but with a team of professionals and a great book of business. We are pioneering an advanced buying experience for companies moving, renovating their space, and buying office furniture. Our dealer network will help you with project management and installation. With the heart of a teacher, we show companies how to create affordable spaces without giving up quality, design, and flexibility. As our champion, you will be an integral part of the sales and marketing Lead-to-Revenue machine and initiates the relationship between the company and prospects. You will be a highly motivated, self-starter able to identify and develop leads and opportunities from multiple sources including prospect lists, existing customers, discovery and individual research. The primary responsibility is to qualify and close generated leads by numerous marketing campaigns. -Accountable for meeting or exceeding monthly qualified lead objectives and quotas. -Follow up promptly and diligently on leads and inquiries, delivering a positive prospect experience throughout the process. -Build and cultivate prospect relationships by initiating communications and conducting follow-up qualification in order to move opportunities into the sales funnel. -Perform thorough needs assessment and identify prospects pain points to determine how Interior Avenue’s solutions address those needs. -Conduct outbound prospecting activities against targeted accounts, prospect lists, and other call campaigns. -Build and increase industry knowledge and acumen to position Interior Avenue’ s value proposition to multiple vertical segments. -Actively participate in trade show/event planning to secure attendees and maximize prospect meetings for the Sales team. 2+ year of sales, marketing or business development experience is required. Strong presentation and communication skills (verbal, written, and active listening).Drive, conscientiousness and perseverance to conduct outbound contacts daily. A dynamic “hunter” personality with a drive to reach decision makers is essential. Team oriented with ability to succeed in an entrepreneurial environment. Ability to learn Salesforce.com is required. Laptop, cell and auto allowance.